Ce document au format PDF 1.7 a été généré par Adobe InDesign CS6 (Windows) / Adobe PDF Library 10.0.1, et a été envoyé sur fichier-pdf.fr le 10/11/2016 à 09:17, depuis l'adresse IP 86.195.x.x. La présente page de téléchargement du fichier a été vue 206 fois. Taille du document: 2.6 Mo (13 pages). the esthetic zone in part 1, and full arches replacements in part 2.
implant concept; others preferred to “wait and see” … . Figures of cases 1 and 2 illustrate these kinds of challenges. Figure 1a Initial clinical and radiological situation. an esthetic, temporary implant-supported crown onto the site. Figure 1b Initial clinical and radiological situation. - Patient motivation and those implications in the treatment. Initial clinical and radiological situation. Figure 1d Initial clinical and radiological situation. Figure 1v Clinical appearance on day-8 postoperative. Figure 1t Clinical appearance on day-8 postoperative. Figure 1w Final prosthetic crowns after a period of 4 monthshealing (Dr. DELESTI/Lab. CERALOR). Figure 1u Clinical appearance on day-8 postoperative. Final prosthetic crowns after a period of 4 monthshealing (Dr. DELESTI/Lab. CERALOR). access) temporary crown immediately after surgery. Figure 2a Initial clinical and radiological presentation. Figure 2f Clinical and radiological result at 8 days postoperative. and X-Ray control at 4 months postoperative. 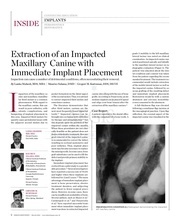 Malo in Portugal a year after he published his work in 2005 .
and it has basically changed part of my implant practice. after I had already placed 2 implants in his lower left jaw in 2006. - The long term prognosis may be better. 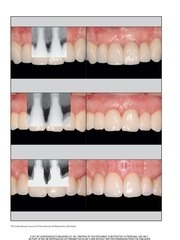 Figure 3a Initial clinical esthetic appearance. to chew on the (mobile) front teeth. than a more traditional, conservative treatments . grafts and implants) on the posterior areas. Figure 4a Initial clinical and radiological situation. 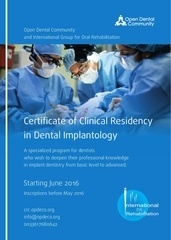 denture placement for waiting the implants osseointegration. Both final dentures are made of ceramic-zirconium (Figures 5a5i). Figure 5a Initial clinical presentation / occlusion. Figure 5b Initial clinical presentation / occlusion. Initial clinical presentation / occlusion. Figure 5d Initial clinical presentation / occlusion. denture on the mandible (Lab. = Erick LOYAU). and occlusion protection night-wearing as well (Figures 6a-6j). 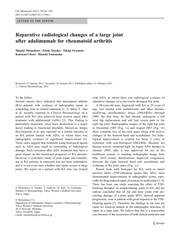 Figure 6e Initial clinical and radiological. Figure 6a Initial clinical and radiological. Figure 6b Initial clinical and radiological. Figure 6d Initial clinical and radiological. 5	Abbou M, Missika P (1997) Extractions-implantations immédiates. Rev Stomatol Chir Maxillo-fac 98: 14-16. Implant Dent Relat Res 7: S60-S69. human cadaver study. Clin Impl Dent Rel Res 2: 85-92.
evaluation. Pract Periodont Aesthetic Dent 9: 165-175.
du diamètre et de la longueur des implants. Implant 6: 23-33.
sockets. Int Dent Res 67: 142.
microstructure. Clin Oral Impl Res 12: 79-84.
surgical and restorative advantages. Int J Periodont Rest Dent 9: 333-343.
thread implant: success rate at exposure. Implant Dent 9: 329-333. 9	Amoyel F, Itic J (2000) L’implantation immédiate après extraction. 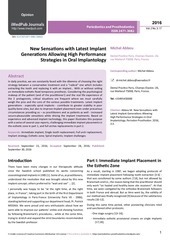 immediate implants. J Peridontol 68: 1110-1116.
of implants into infected sites: A systematic review of the literature. Oral Impl Res 1: 33-40. Periodontics Aesthet Dent 15: 161-168.
study. BMC Oral Health 8: 6831-6838.
of the Implant Features. J Oral Implantology 35: 283-288.
clinical experience: An in vitro study. Dent Tribune Science. implants. A 5-year follow-up study. Clin Oral Impl Res 8: 422-426. J Oral Maxillofac Implants 18: 826-834.
immediate provisionalisation. Fourteen consecutively cases report. Pract Periodontics Aesthet Dent 10: 107-114.
system. Int J Dent Symp 4: 48-52.
prosthetic rationale. Pract Periodontics Aesthet Dent 10: 107-114.
l’imagerie 3D. Tribune Dentaire. French edn., Janvier, p: 30.
revue de littérature. Rev Odontostomatol 38: 187-207.
and Rel Research 7: 588-594.
bibliographique et prospective. Les Cahiers de Proth 91: 57-68.
implantologie. Rev Odontostomatol 24: 165-178.
parodonte réduit. J Parodontol Implantol Orale 16: 177-189. Ce fichier a été mis en ligne par un utilisateur du site. Identifiant unique du document: 00465799.